Need some gifts for favorite teachers, neighbors, mail carrier, hairdresser and more? Notecards make a wonderful small gift to let people know you appreciate them. 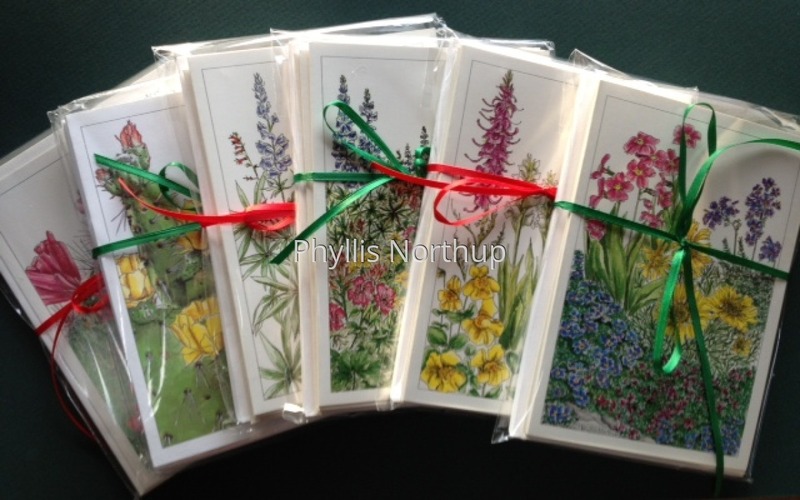 Each package includes 8 cards with envelopes, 2 each of four different designs depicting either wildflowers in plant communities or cactus in bloom. Interpretive information is included on the back of each card. Everyone can use cards for thank you notes, or to write their own heartfelt messages for birthdays, anniversary and other occasions. Also a great stocking stuffer ! Buy four at the regular price of $5 and get one package free! Shipping is included.